OK so it isn’t a cycle…..its a local Tonga…. 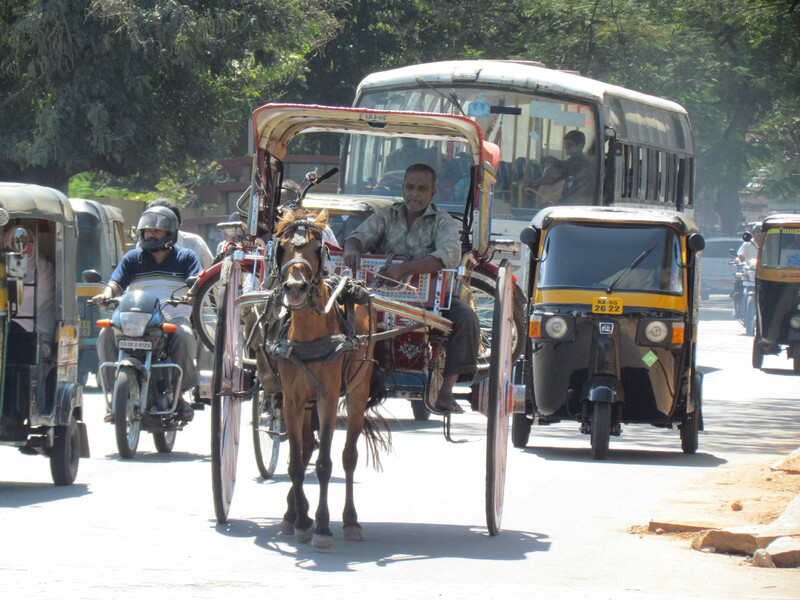 whatever it takes, you’ll have a great time in Mysore and beware there’s so much to do, guests usually leave with a list of things to return to do. Cand (aka Candida from Italy) helps Stephen develop our next exciting cycle tour to be launched later this year. Personal cycle tours to provide an intimate introduction to the local heritage and culture. Lasting over three hours they include a knowledgeable english speaking guide, cycle and refreshments. 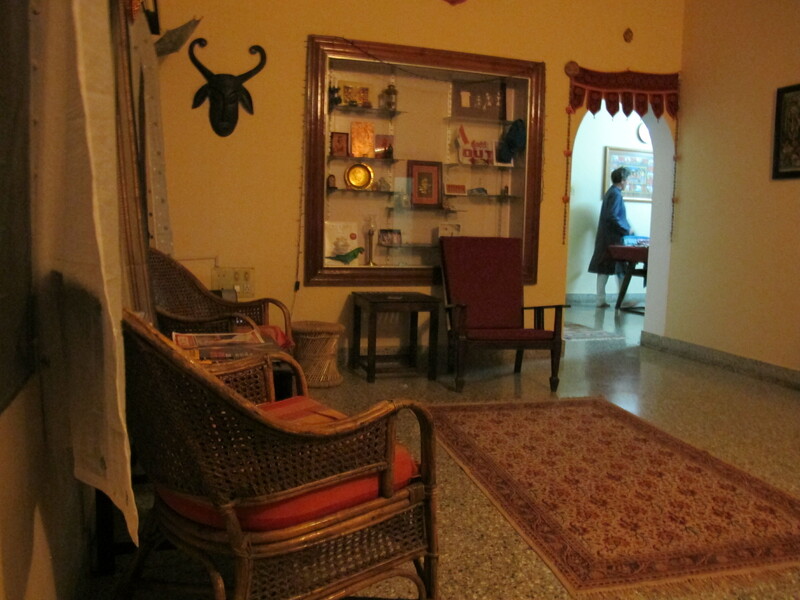 Mysore BnB has provided informal homely accommodation since October 2011. Based in Mysore, Karnataka, South India. Featured as no 1 on Trip Advisor in Mysore. It is a two floor house in quiet residential area, ten minutes in auto rickshaw from the Palace at the centre of Mysore. We rent out four rooms with separate toilet and bathroom that is shared between two rooms. It costs 1450 Rs per night for two people sharing or 1150 Rs single occupancy. This includes breakfast, out door sit-out, living room and WIFI. There are fans but no A/C. It’s very much sharing my home. There are sometimes home cooked Indian vegetarian meals available at home or as a picnic. These are prepared by Manjula and are not included in the price. There’s also baby sitting and cookery lessons.